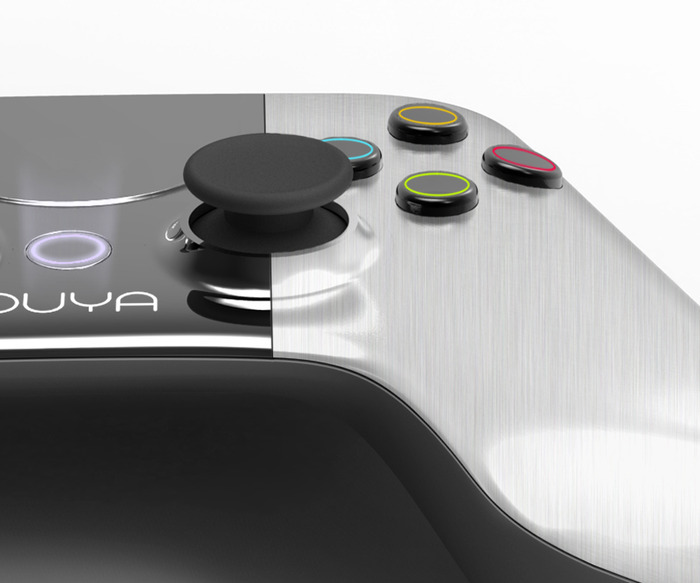 Launching with a view to raise $950,000 in 30 days, games console startup Ouya reached its Kickstarter target in just 8 hours. Fast forward a few hours and then project has blasted past the $2 million barrier, and is now calling upon backers to suggest what it should do with its money. 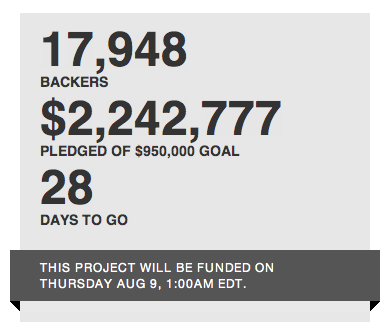 With 28 days to go, Ouya stands at $2.225 million with a total of 17,806 backers, more than doubling its target in its first day. At its current funding rate, Ouya looks set to overtake the Pebble smartwatch as the most popular Kickstarter project ever, which accumulated more than $10 million to bring notifications, apps and other smart features to an e-Ink watch. Do you realize what you’ve done? You proved consoles aren’t dead. You shocked the world. And us! We are blown away by your support. With your help, we just raised $2 million. And it’s only the first day. Now we want to blow you away. The biggest thing for us right now: we are working on our stretch goals, what we can do if we raise more money. It might take us a few days to figure that out, and we want your help. Tell us what you would like the stretch goals to be at ideas@ouya.tv. Kickstarter is heralded for the way it crowdsources funding, and project creators are leveraging that interest to make sure their products and services see the light of day, but are created to be the best that they can be. If you aren’t familar with the Ouya games console, allow us to explain. It is hoped that Ouya will shake up the games industry with its low price of $99 and is the work of Yves Béhar, who is also responsible for Jawbone’s revolutionary UP health wristband and also worked with Barnes & Noble on its Nook e-readers. It is built on Android but it will have its own marketplace, with a key difference compared to its competitors: all games will be free to try, at least to some extent. Developers will be free to use the platform as they wish, and monetize games by the means they see fit, Ouya’s team says. Inside, it features a Tegra 3 quad-core processor, 1GB RAM, 8GB of internal flash storage, HDMI, WiFi 802.11 b/g/n , Bluetooth LE 4.0, USB 2.0 (one), a wireless controller with standard controls (two analog sticks, d-pad, eight action buttons, a system button) and a touchpad. Kickstarter backers are already asking for USB 3.0 connections to be included, now that the funding goal has been reached, and we can expect many more now the projects creators have opened up suggestions. Read next: Is this game over for notification firm Boxcar, or just a prolonged outage?